Part of developing a professional web property for business should include quality website copywriting services created by experienced web writers. The type of content that appears in your brochures or other print marketing displays is completely different from the type of content that should appear on your website. Consumers use and react to these unique marketing tools differently, so it is important to spend time on custom content development and consider consulting with a professional content creation expert. At Wareham Web Design, we don’t just design you a beautiful web page, slap on a logo and then send it off into the world, hoping that it reaches its target. We work with you to create a comprehensive web property that encompasses all of the essential ingredients required for success. We work with a team of experienced web writers who understand what it takes to effectively reach consumers with the written word. Relevant keywords, phrases and formatting are carefully selected to capture the attention of your visitors, while also providing quality content to feed the search engines and improve your visibility and rank. The best way to “get found” in the search engines is to optimize your website. 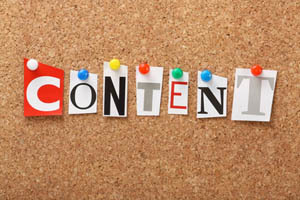 The best way to optimize your website is through the use of custom content development. When you hire our website copywriting services to create text for your new website, we will work to improve both the usefulness and the readability of your website, while paying close attention to the navigational nuances of the design. Our goal is to make sure that each and every page we complete for your business has been written with search engines, visitors and bottom lines in mind, establishing a means for increasing both traffic and sales. In addition to website copywriting services, our team can also help you with other types of custom content development. Whether you need articles written, white papers created or any other type of written content, our experienced web writers can help. Content isn’t just limited to pages within your website, professional content creation can extend far beyond the basics and move on into product descriptions, custom digital newsletters and much more. Don’t just settle for the same text that you have always used in all of your brochures or print advertising. Give your new website the chance to really shine and provide your potential customers and clients with custom content that will showcase you, your business and everything that you do. Contact Wareham Web Design today at 508-415-8648 or use our online contact form to request additional information about our professional content creation services.